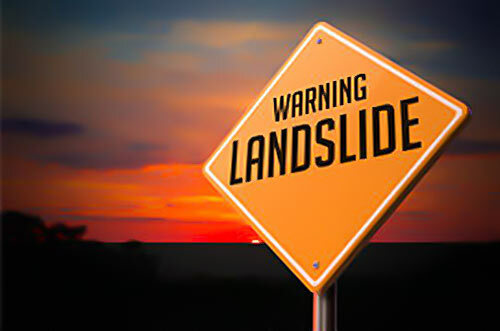 The National Building Research Organization (NBRO), issued a level 3 Landslide Early Warning at 7:30 PM on Saturday (May 20), requesting the public to evacuate to safer locations. According to the NBRO, since the rainfall within the past 24 hours has exceeded by 150 mm, if the rains continue, the public must evacuate to safe locations to avoid the risk of landslides, slope failures and rock falls. A Red Notice has been issued to Eheliyagoda, Kuruvita, Elapatha and Ratnapura divisional secretariats as well as surrounding areas in the Ratnapura District. It is in also effect in the Ambagamuwa divisional secretariat of the Nuwara Eliya District and Palindanuwara divisional secretariat and surrounding areas in the Kalutara District. The NBRO further noted that a warning has also been issued for the Neluwa, Thawalama, Nagoda and Galle divisional secretariats in the Galle District.